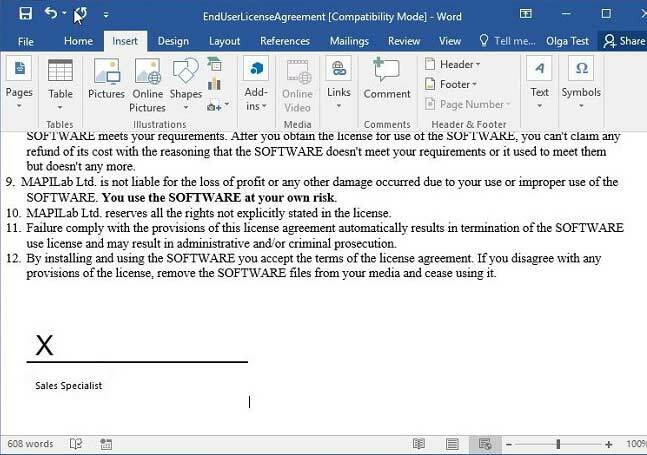 Let’s say, I need several personal copies of my Agreement to be signed by specialist. They are away, but available via e-mail. 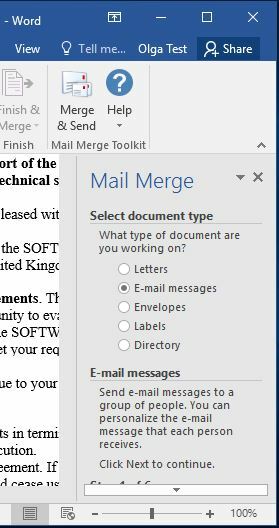 Can I use the Signature feature in Microsoft Office Word and let my document be converted to personal PDF files, then, sent immediately and individually to the addressees? – Yes! 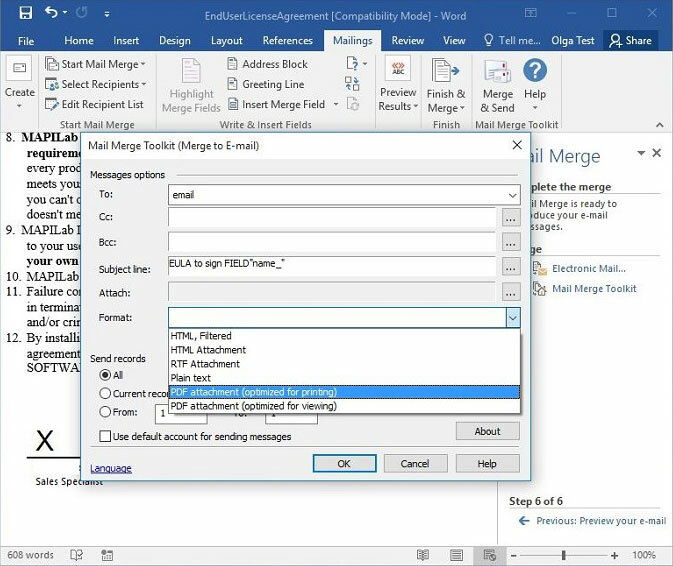 In this way, the opportunities of the Microsoft Word Mail Merge feature let me handle a very specific task: with the help of the Mail Merge Toolkit add-in and its important feature of converting messages to PDF, sending personal PDF files is enabled with the support of specific fields like “Signature Line”, even in the automatic mode. Hi there, how is it possible to change the font and font size in the Message body? We need to adjust this to meet our company standards. 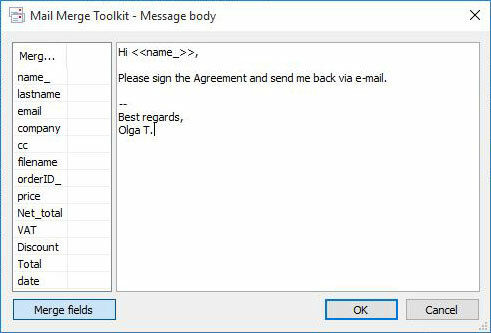 In the message box it is indicated that HTML is supported. We tried different HTML tags but we could not figure out how to change the required parameters. 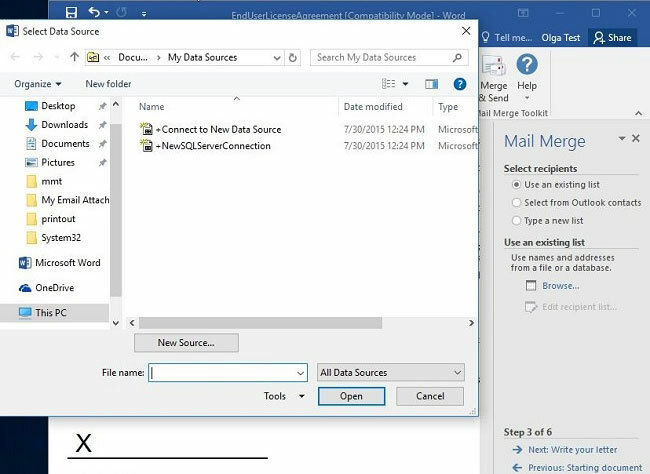 It seems the Add-In always uses font-size:8.5pt and font-family:”MS Shell Dlg 2″. Hello Andre, thank you for your question and sorry for the delay in answering it. HTML-formatted text is supported: you can copy your HTML text e.g. 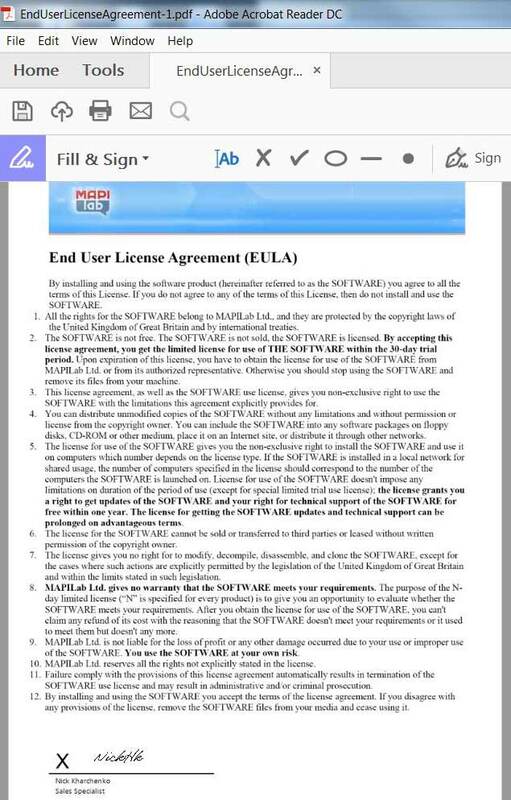 a web page and insert it into the form. If you have a template saved as .htm or .html file – please open it in your HTML browser, select and copy your text into clipboard, then insert it to the form. 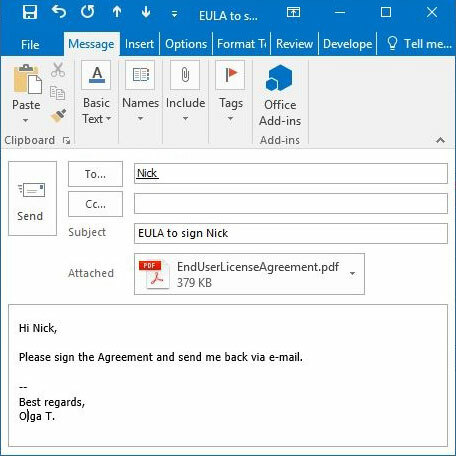 Can you do this with the 24 version or do you need the pro version to convert a word document to PDF? 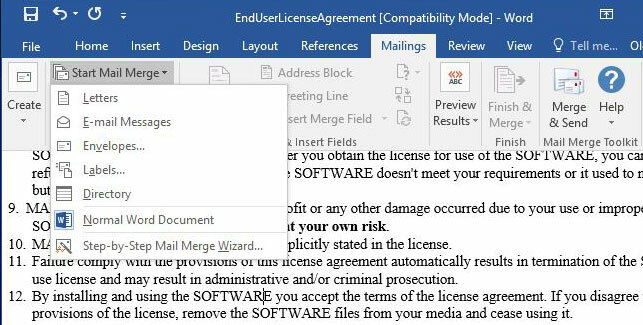 The conversion feature is exclusive to the Mail Merge Toolkit PRO version, but is also available in the free evaluation version.